One last detail: I used cherry tomatoes because my dad bought for salad and he did not use it. 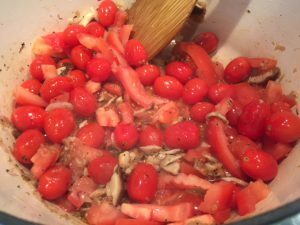 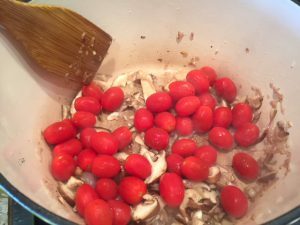 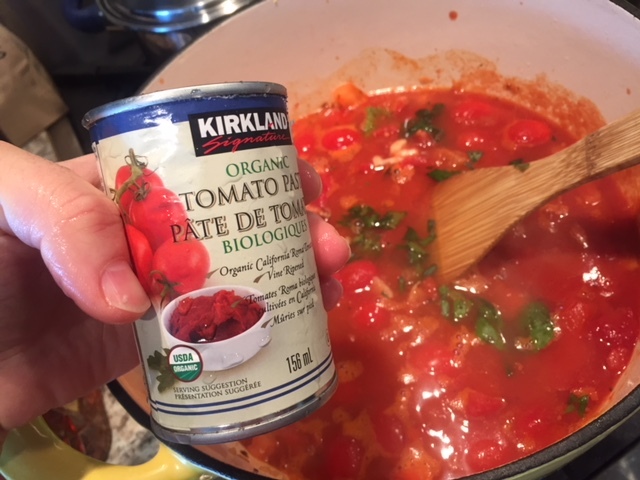 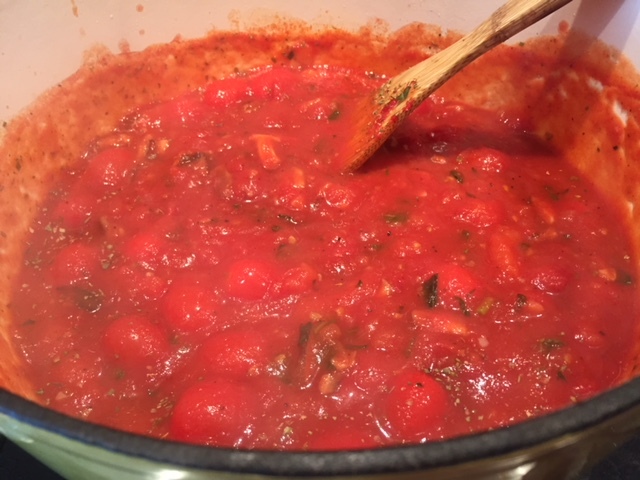 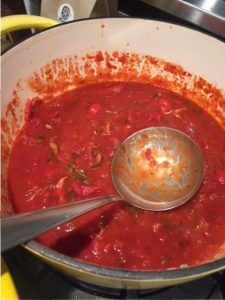 I normally use roman tomatoes, they are the best for tomatoes sauce but all my photos shows the cherry tomatoes so I gave the exact recipe I made for that night. 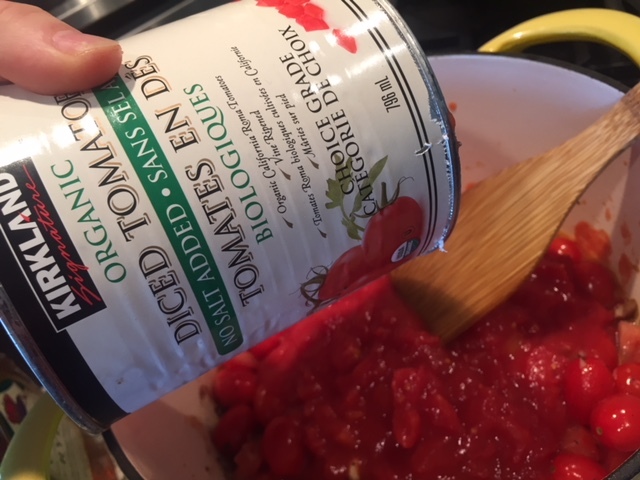 I suggest you don’t spent money in cherry tomatoes. 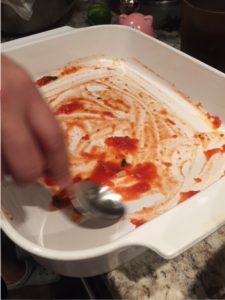 There was no piece left in the plate. 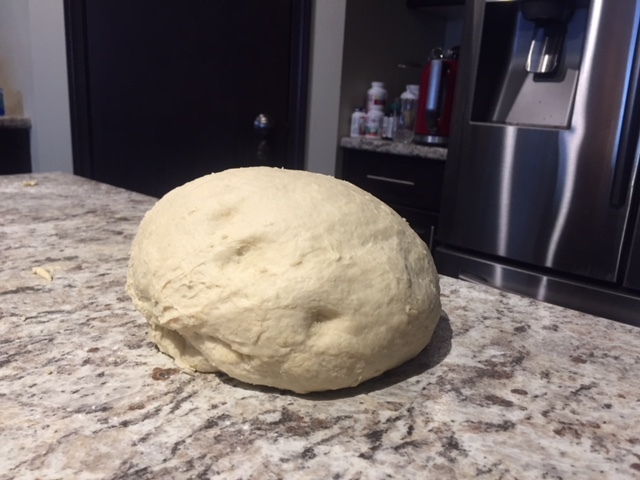 So I believe it was successful. 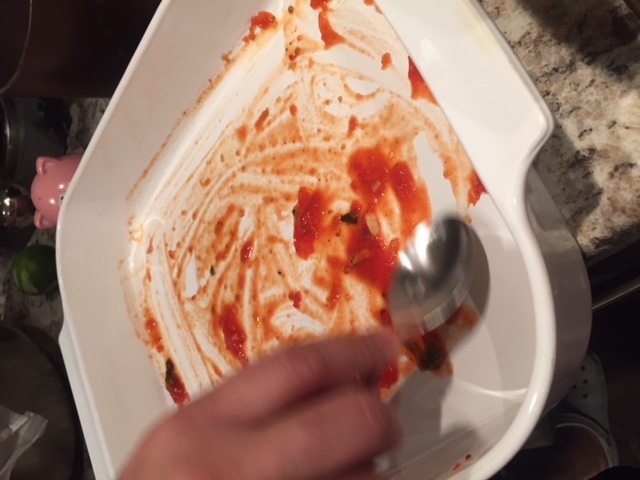 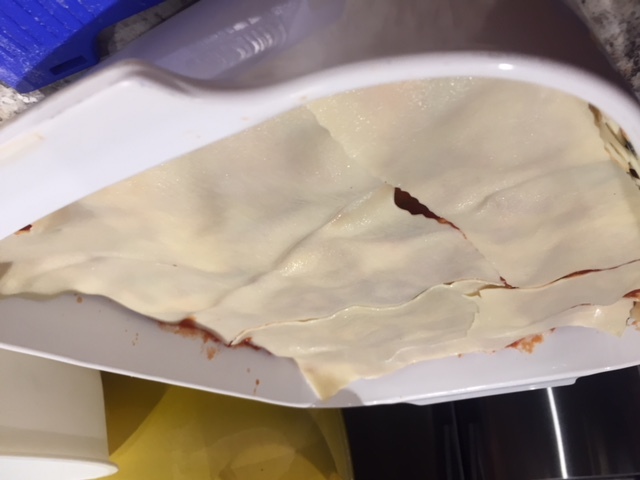 so it takes time, no big deal, but if you want to eat the best lasagna of your life you have to dedicate time. 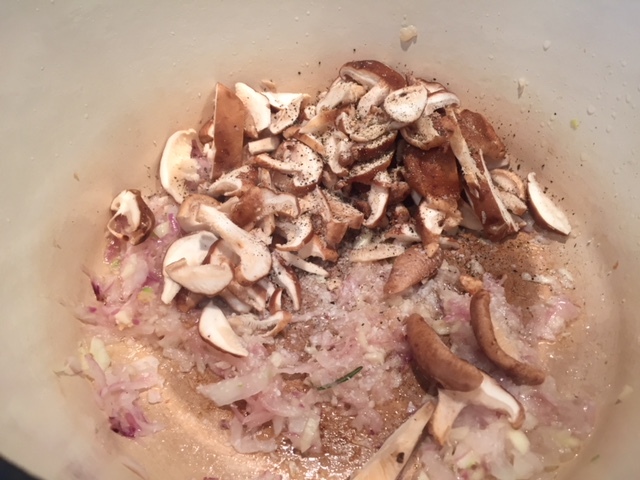 heat the oil in a medium pan and fry the onions and garlic once they become transparent add the shiitake and fry for 3 more minutes. 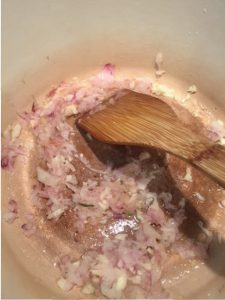 Add all the other ingredients and put on low heat for one hour. 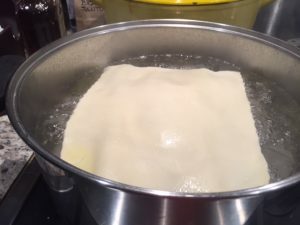 You can add more water if you think is not the right consistency. Cook with the pan covered. 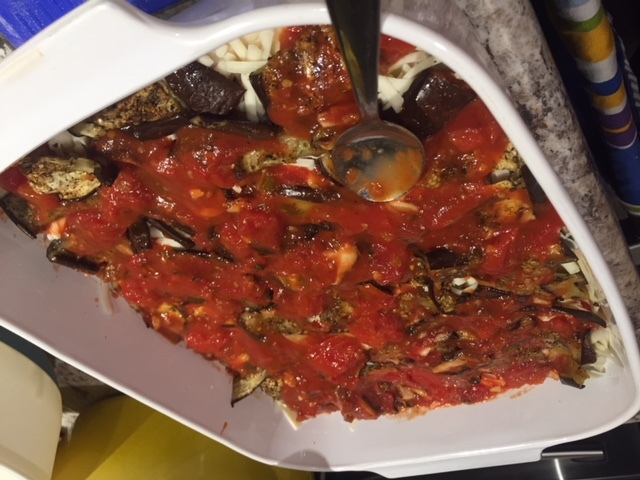 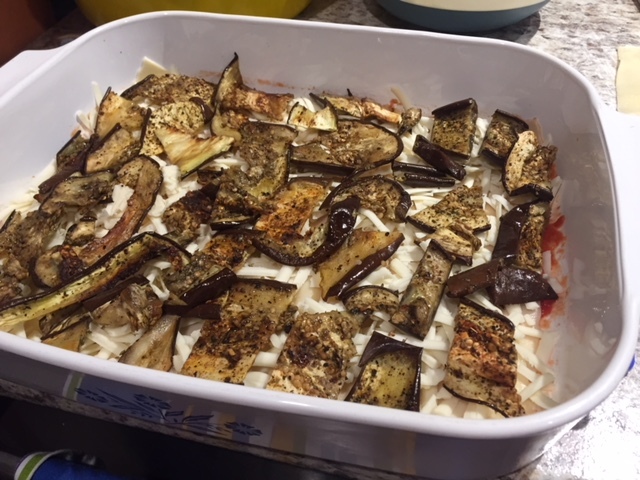 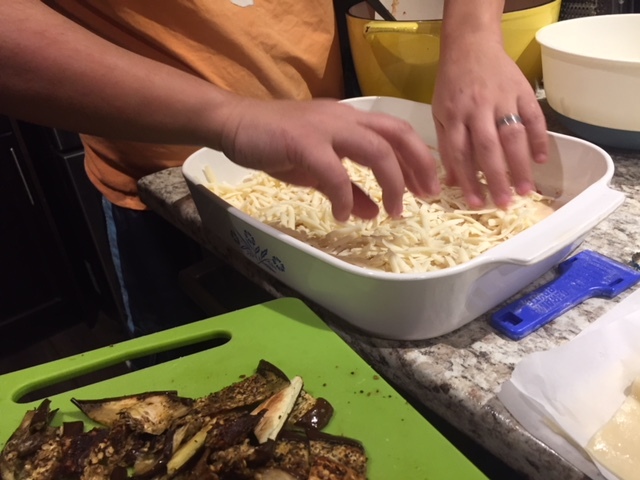 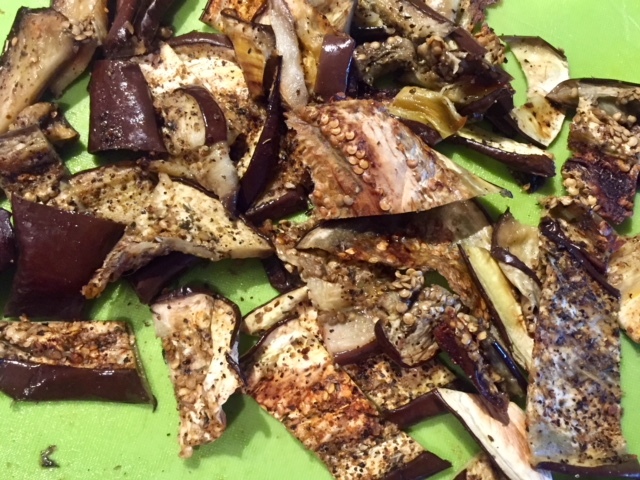 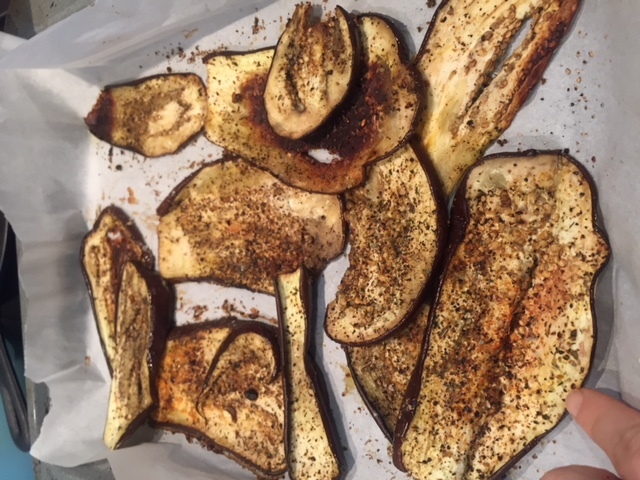 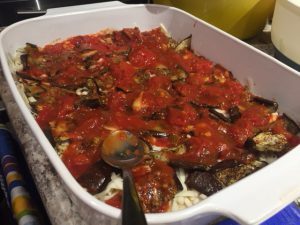 Slice the Eggplant and transfer to a baking sheet and sprinkle some fresh diced rosemary and oregano and salt and pepper and spray olive oil on the surface of each eggplant. 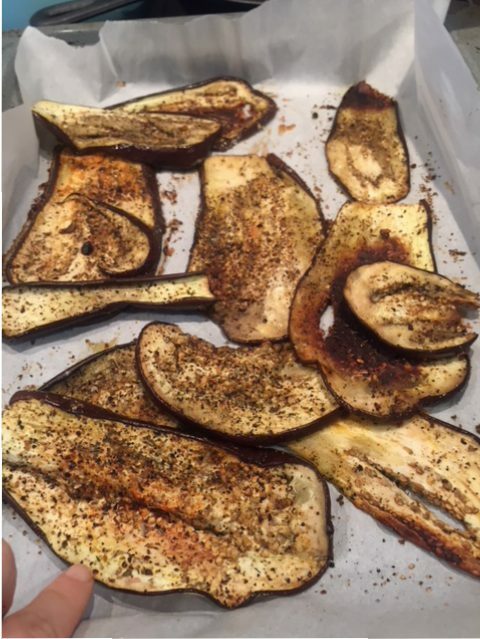 Transfer the tray to a 350 F oven for 40 minutes. 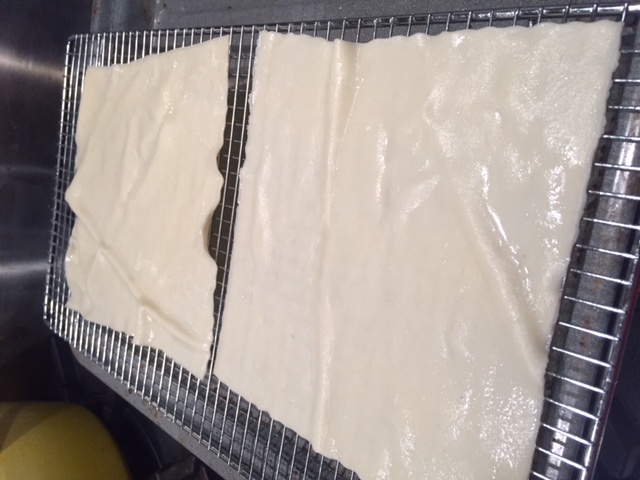 Once is ready cut in squares and separate. 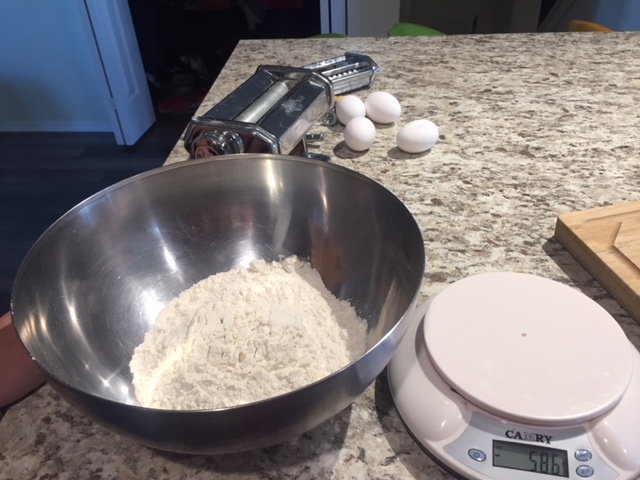 in a big bowl mix with your hands 400 gr of regular flour, 4 large eggs and 1 tea spoon of salt , mix well the ingredients like you re making bread. Than wrap in magi pack and let rest in the fridge for 20 minutes. 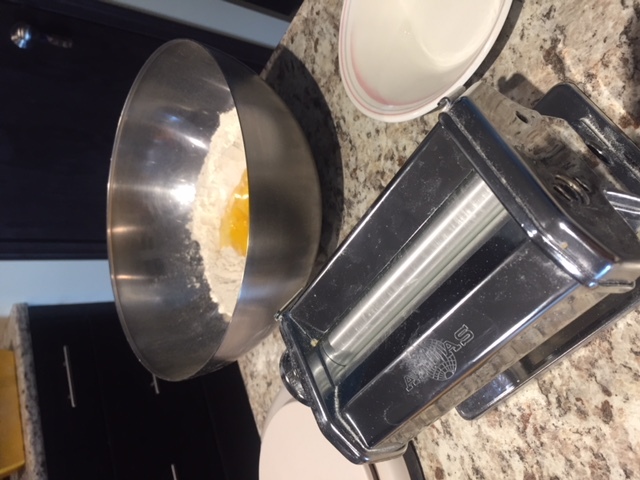 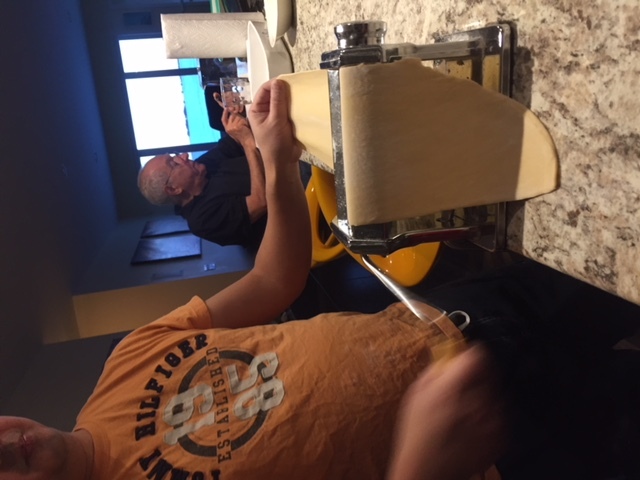 We bought a Marcato Atlas Pasta Machine, Made in Italy, Stainless Steel, Includes Pasta Cutter, Hand Crank and instructions. 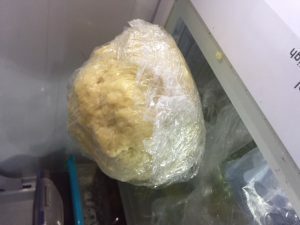 It cost around 100 dol but is worth it! 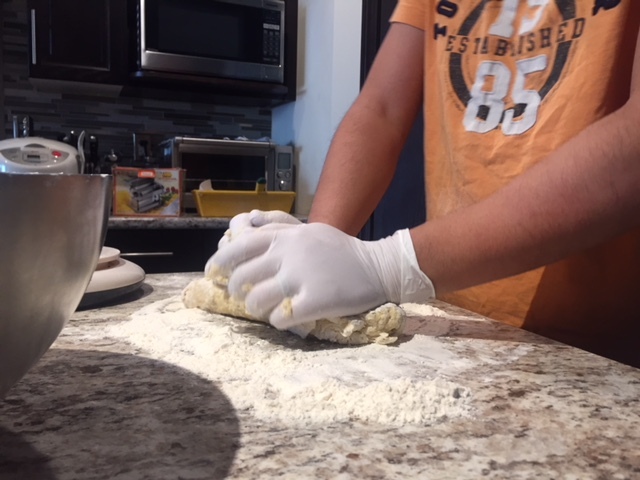 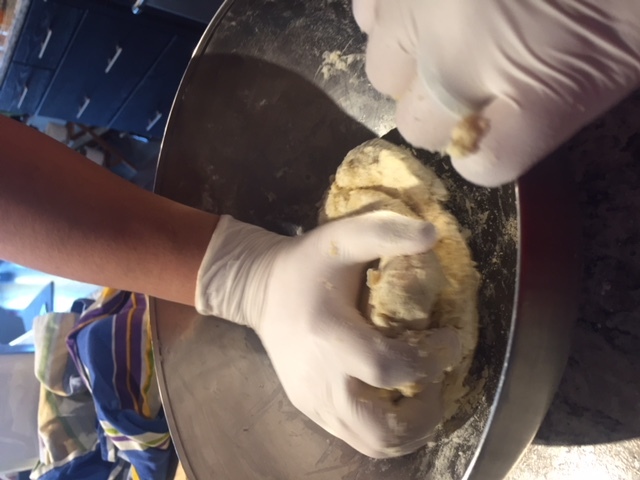 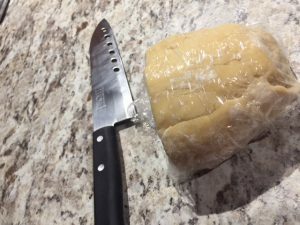 Remove from the fridge and slice the dough in order to fit the pasta machine. You start passing from number 1 to 6. 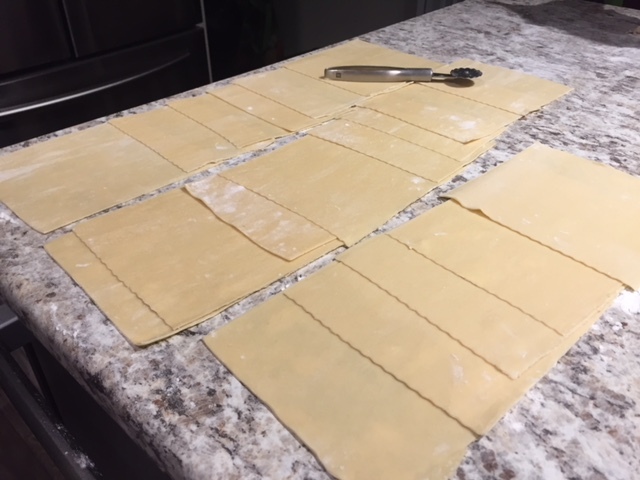 We don’t like tick pasta we like it thin so you might need help while you do it so it can be long each dough. 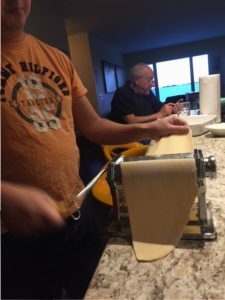 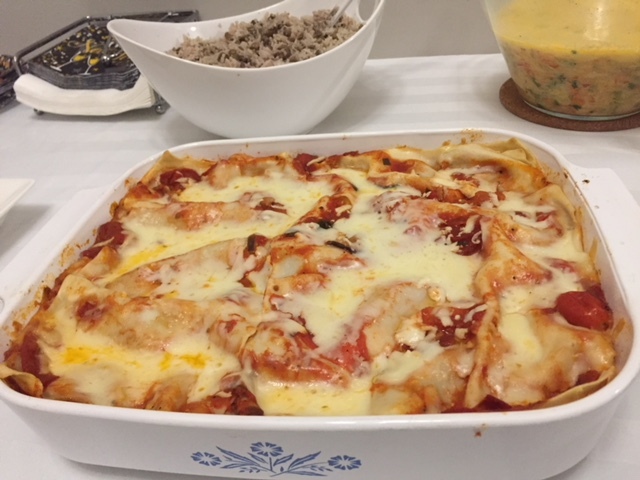 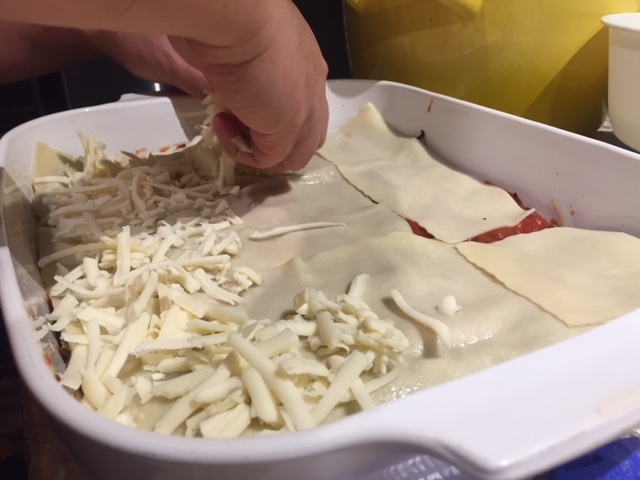 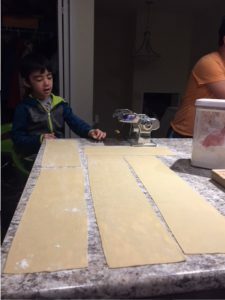 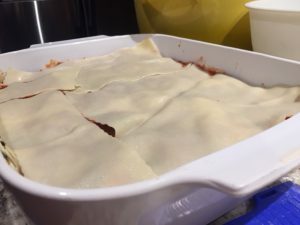 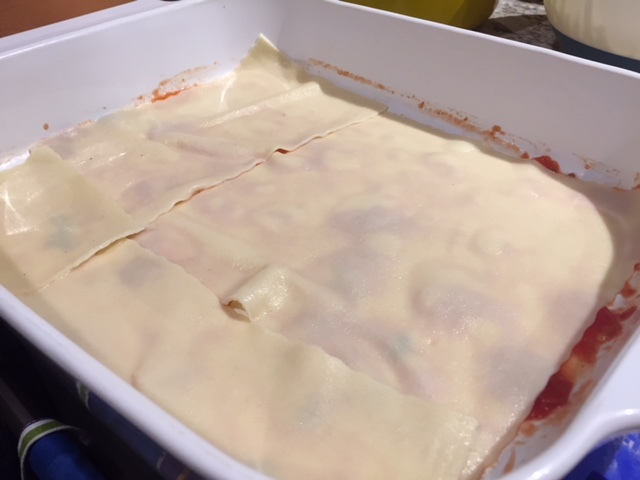 You will need to use a pasta cutter to cut the lasagna pasta in rectangles I will attach a short video to give an idea. 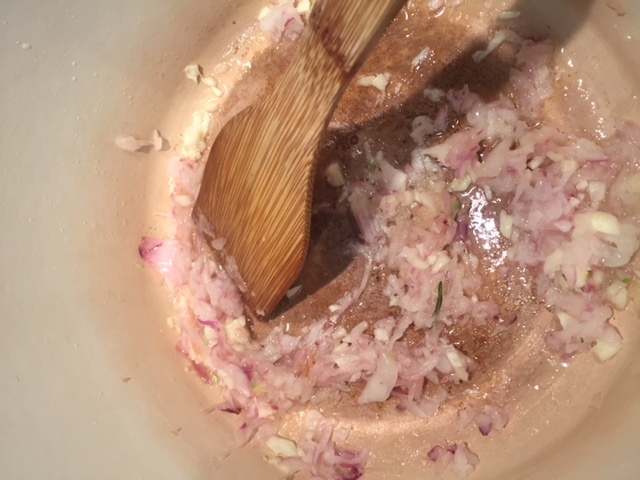 Than you have to cook it in a large pan with water, salt and 1 table spoon of olive oil. Once it boils the water you add the pasta and separate a cooler rack to dry each square. 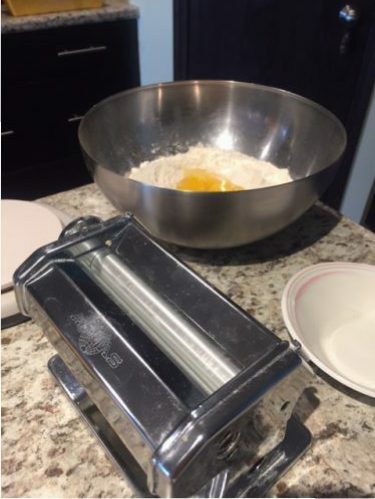 You have to open each rectangle to dry. 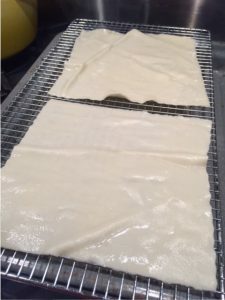 Than you transfer to a board with baking sheet. Or they will glue to each other. 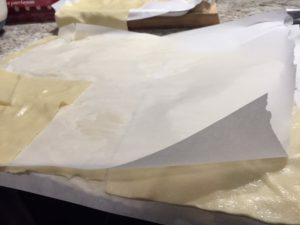 You need to people for this step, one remove from the boiling water once the other is opening each rectangle and transferring to cooling rack to remove excess of water and transfer ago to the sheet. 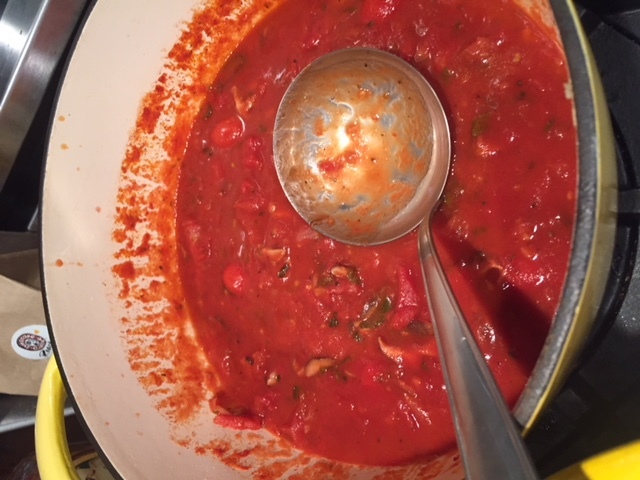 STEP 6 – Heat the over to 350 F cook for 45 minutes. 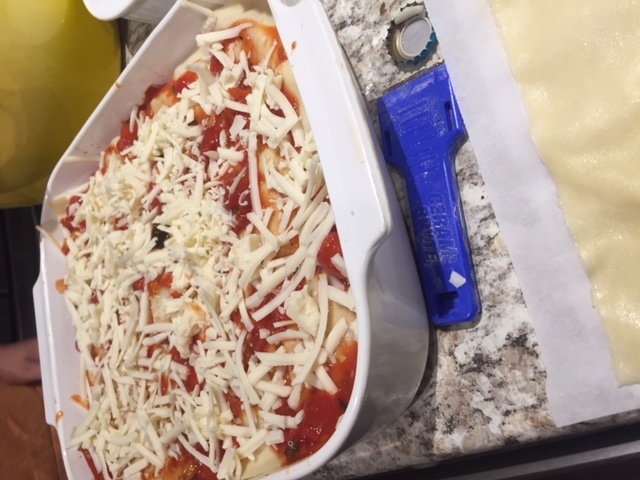 Than remove the aluminium and broil the cheese for 5 minutes and it is ready to serve it! 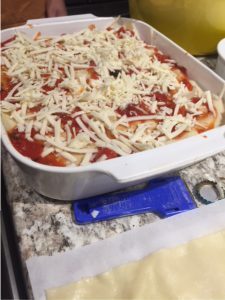 To make it Dairy free use Goat mozzarella style cheese. 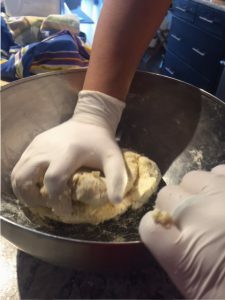 If you re brave enough to do step by step you will get lots of compliments ! 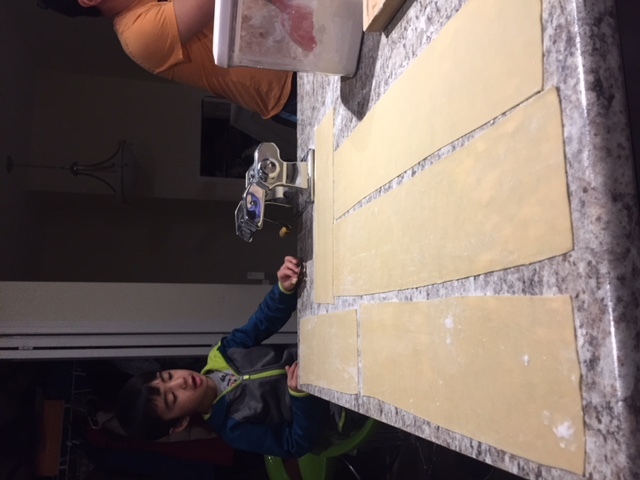 Happy 2018!